This recipe is like my week so far… milder than it looks and less complicated than expected, despite initial impressions. I still cant wait for the weekend and the chance to sleep in and think slowly, or not at all. 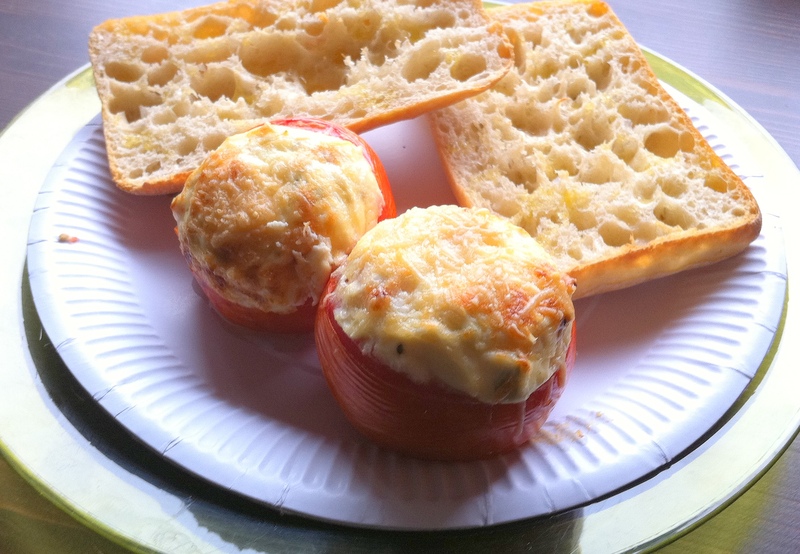 But in the meantime, rather than needing a weekend morning to prepare, this recipe turned out to be a good distraction to briefly turn the mind away from to do lists, chores and mid week crises and concentrate on the soothing task of rolling, chopping, stirring, tasting. Cooking is the best therapy. 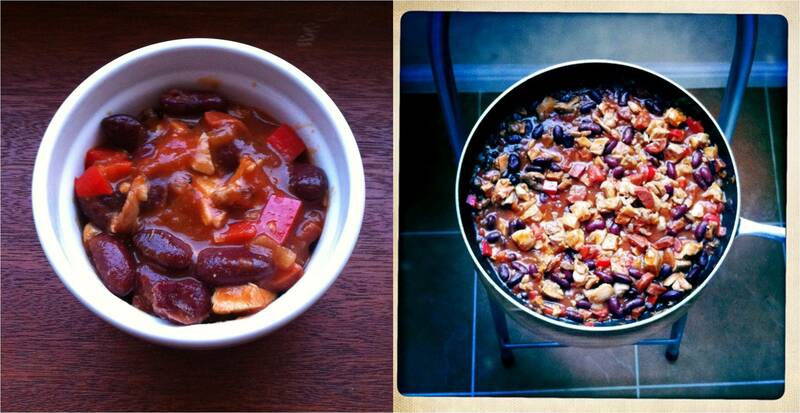 I have the March issue of my delicious magazine to thank for the recipe. I’ve had to start folding over all the corners of the pages that catch my eye as I read each issue so that I can come back to them as I find more than I can make in one sitting. I’m landing up with a lot of dog eared pages. So I’ve been picking most of the week’s meals from my magazines instead of my cookbooks to make a dent in the backlog and this one was from their Reach for the Pies! special. I havent even got to the other pies (all equally tempting) but since this proved to be such a good way of relieving my work addled brain I’ll make my way through the rest now without waiting for a weekend or lots of spare time. 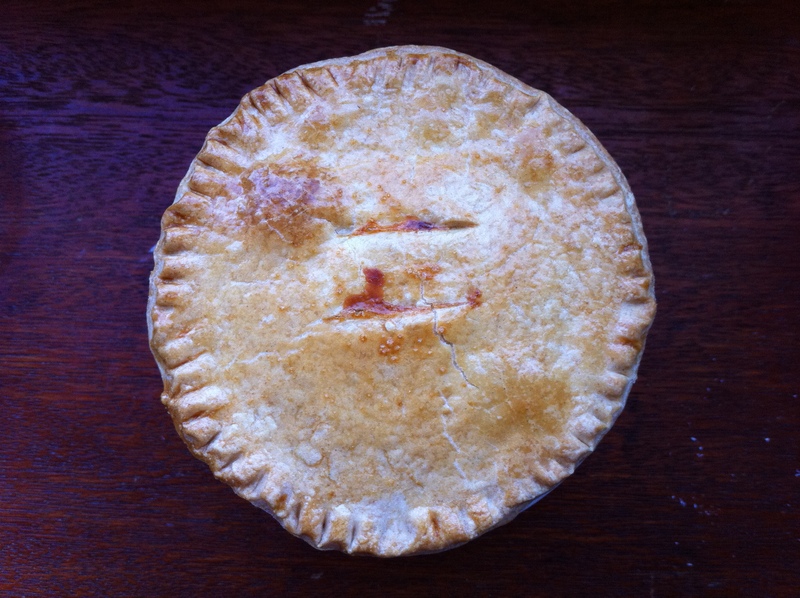 So here’s my slightly adapted version of the delicious-pot-pie-mid-week-cure-for-the-overworked-foodaholic! Start by getting your ingredients out one by one so that you can approach this at a leisurely pace. Cut the chicken into pieces, dice carrots and peppers, open the tin of beans… Chop up your butter into cubes and let it soften slightly (while you pour a glass of wine). Place slightly softened butter and flour in a blender and pulse until it turns to fine sand. Add cold water 1tbsp at a time and continue to pulse until the dough comes together. 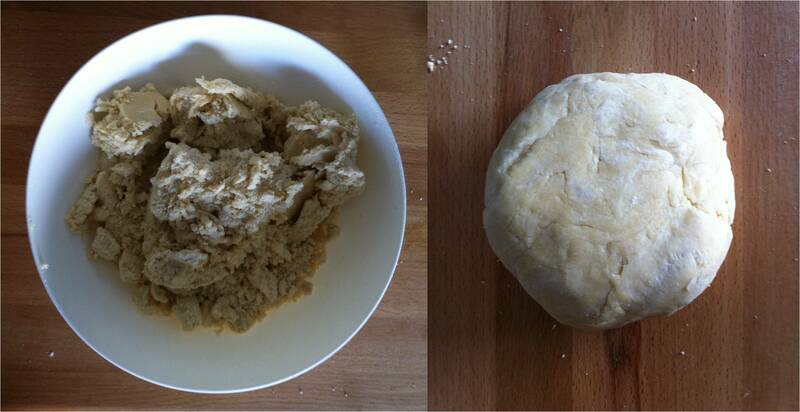 Turn out on a floured surface and knead quickly into a ball. Wrap in cling film and chill for 15 mins or more. In the meantime heat oil over a medium to high heat and quickly sear the chicken pieces until lightly browned on all sides. Remove from the heat and set aside. Once cooled chop up into cubes (I find it stays tender if you fry it in larger pieces and chop afterwards). This part is just plonking things into the pan one at a time and gently stirring which always relaxes me. Add the onion to the empty pan and cook until softened, stirring every now and then. Add the chorizo, garlic and spices and cook another couple of minutes, then stir in the carrots and peppers. Add the beans and the tomatoes and stir again. Finally add the chicken pieces, season and simmer simmer for about 5-10 minutes to thicken the sauce slightly. Spoon into individual ramekins or pie pots and leave to cool (I got 6 out of mine as they are little but you need to serve a lot of veg to make a decent main meal portion). This bit isn’t complicated pastry assembly that requires concentration. You can absent mindedly stamp out the lids and glue them on while you chat to partner/children or just gaze out the window. Preheat the oven to 180°C. Take the pastry out of the fridge and roll out. Find a cutter or glass/bowl slightly larger than the diameter of your ramekins (no specific diameters here!) and punch out round discs, re-rolling the dough if you need to until you have enough lids. 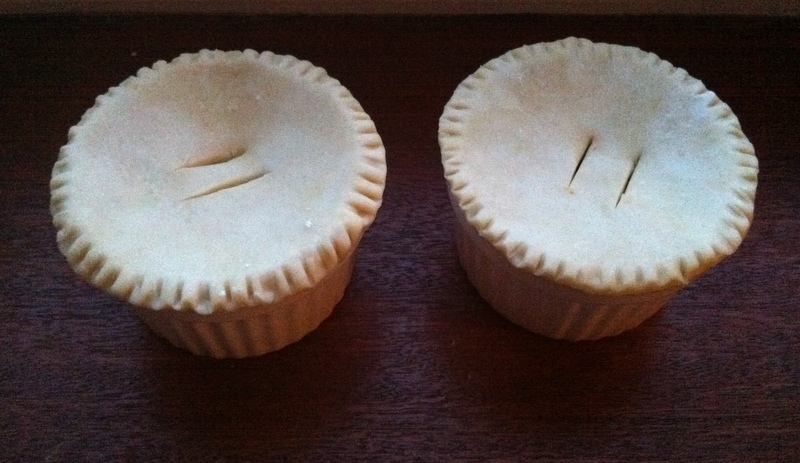 Then glue a lid onto each pie by wetting the rim of the ramekin and pressing the pastry down. 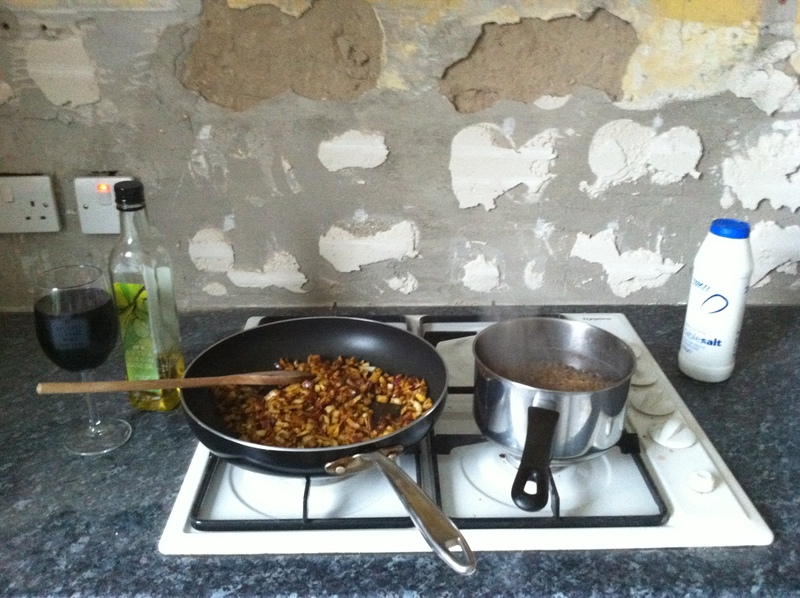 Finish by crimping the edges with a fork and cutting two slits in the top. Brush the tops with beaten egg and bung them in the oven for 20-25 minutes until golden. Adapted from delicious magazine version. Makes 4-6 pies. In the meantime heat oil over a medium to high heat and quickly sear the chicken pieces until lightly browned on all sides. Remove from the heat and set aside. Once cooled chop up into cubes. Add the onion to the empty pan and cook until softened, stirring every now and then. Add the chorizo, garlic and spices and cook another couple of minutes, then stir in the carrots and peppers. Add the beans and the tomatoes and stir again. 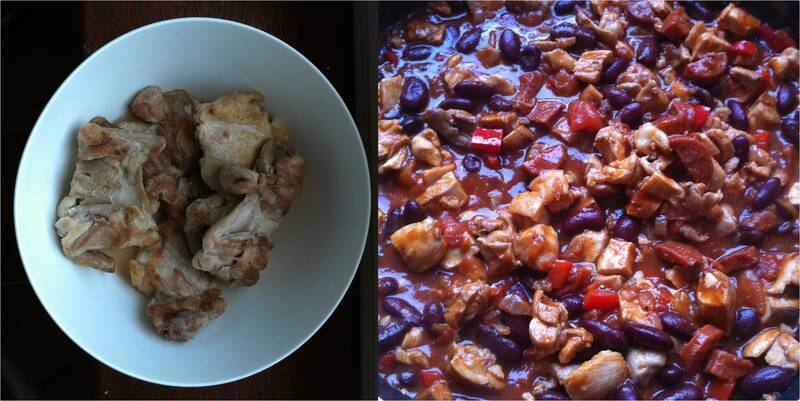 Finally add the chicken pieces, season and simmer simmer for about 5-10 minutes to thicken the sauce slightly. Spoon into individual ramekins or pie pots and leave to cool. Preheat the oven to 180°C. Take the pastry out of the fridge and roll out. Find a cutter or glass/bowl slightly larger than the diameter of your ramekins (no specific diameters here!) 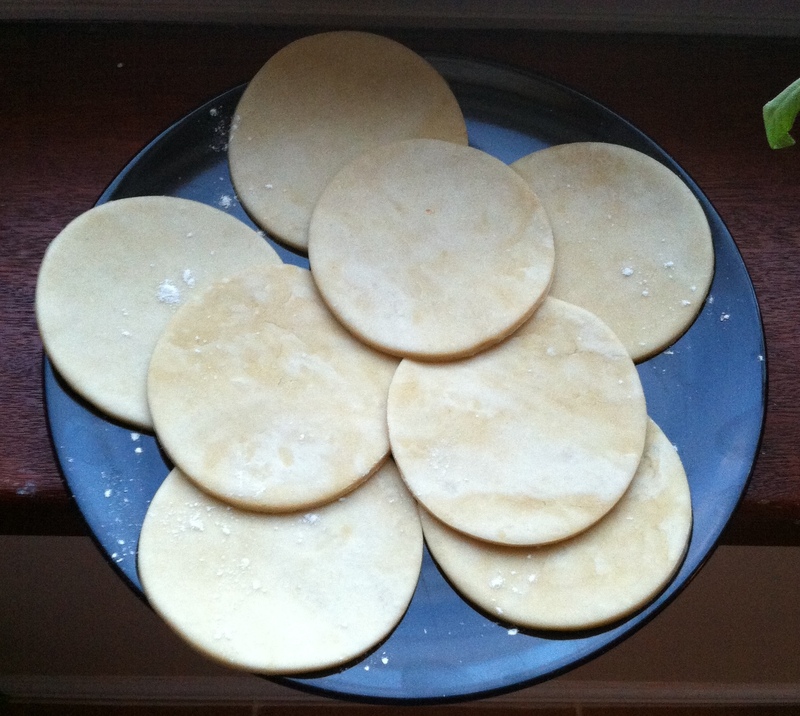 and punch out round discs, re-rolling the dough if you need to until you have enough lids. Then glue a lid onto each pie by wetting the rim of the ramekin and pressing the pastry down. Finish by crimping the edges with a fork. Brush the tops with beaten egg and bung them in the oven for 20-25 minutes until golden.